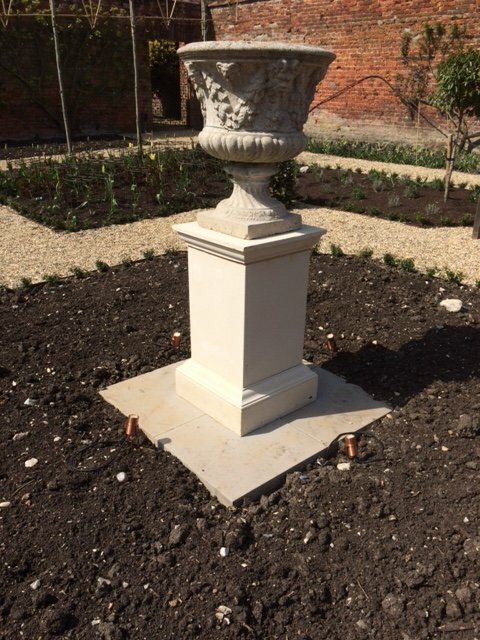 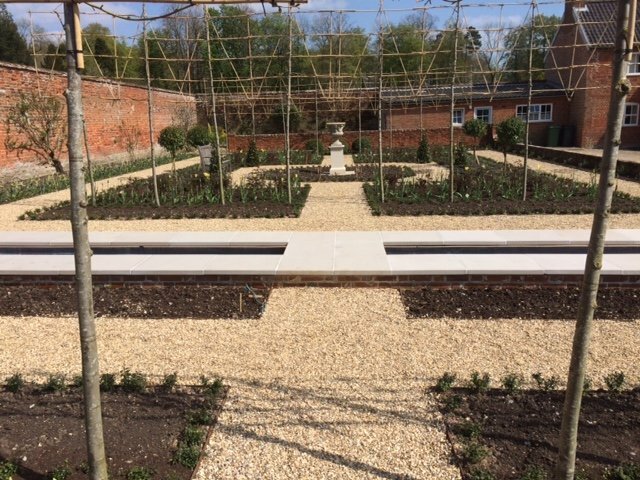 We were contracted to install LED lighting and supplies to this beautifully designed new garden area. 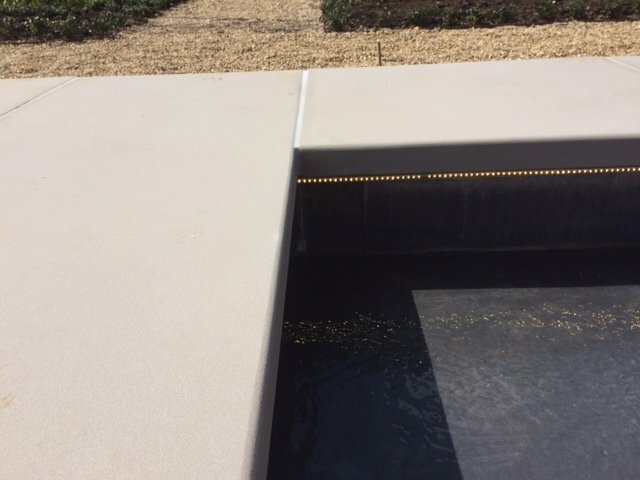 Waterproof LED strip was used to the Rill and submersible units used in the gathering pool, whilst up lights were utilised in the planted areas. 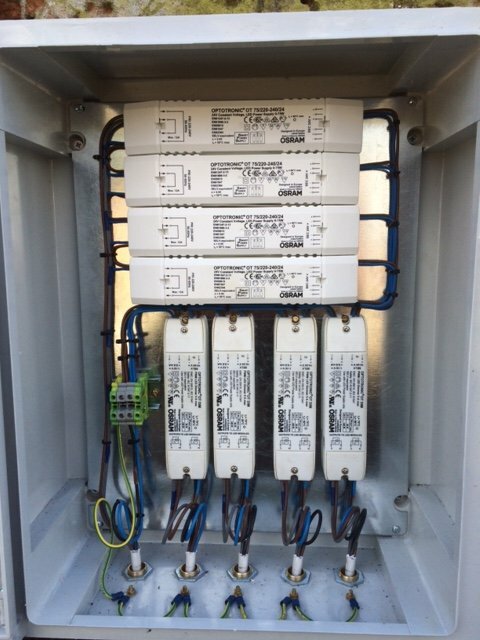 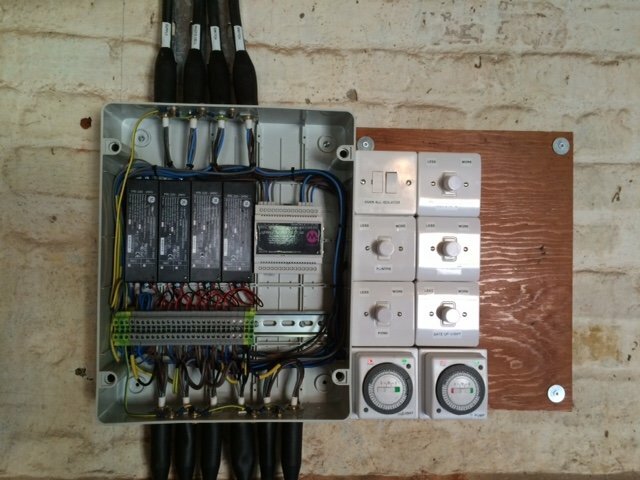 Lights were able to be dimmed in groups giving different effects and were also time clock controlled with photocells incorporated into the circuit.